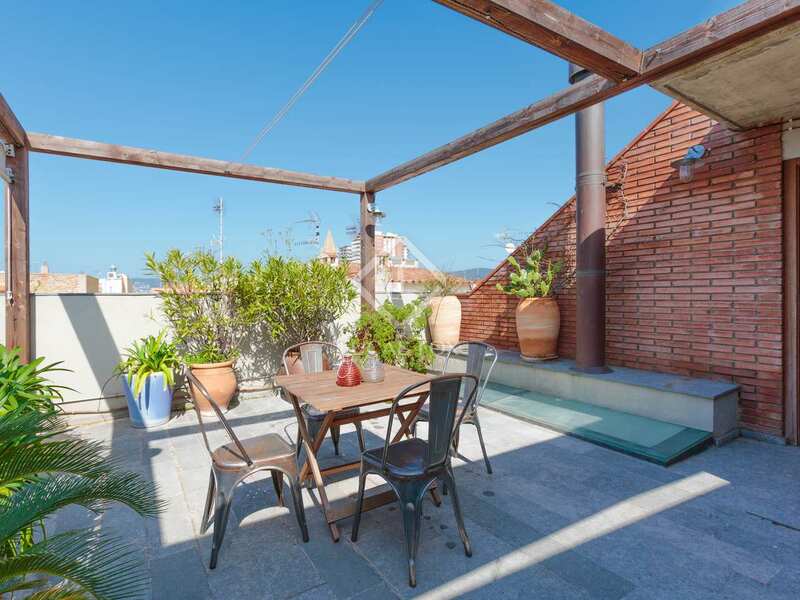 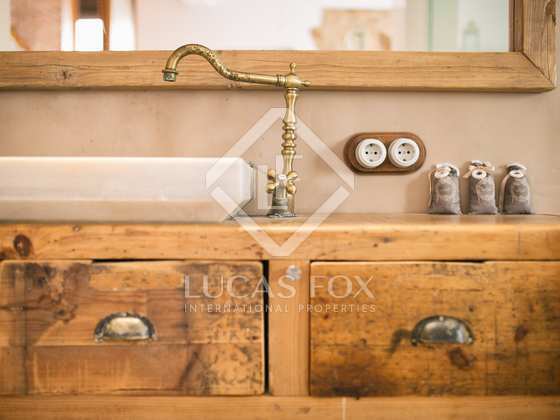 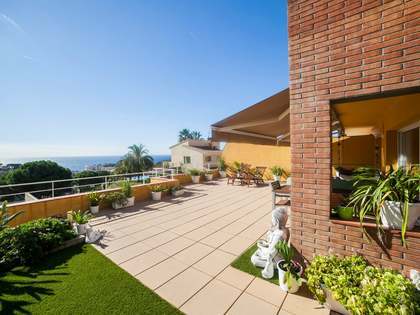 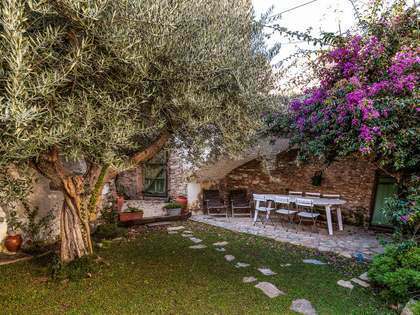 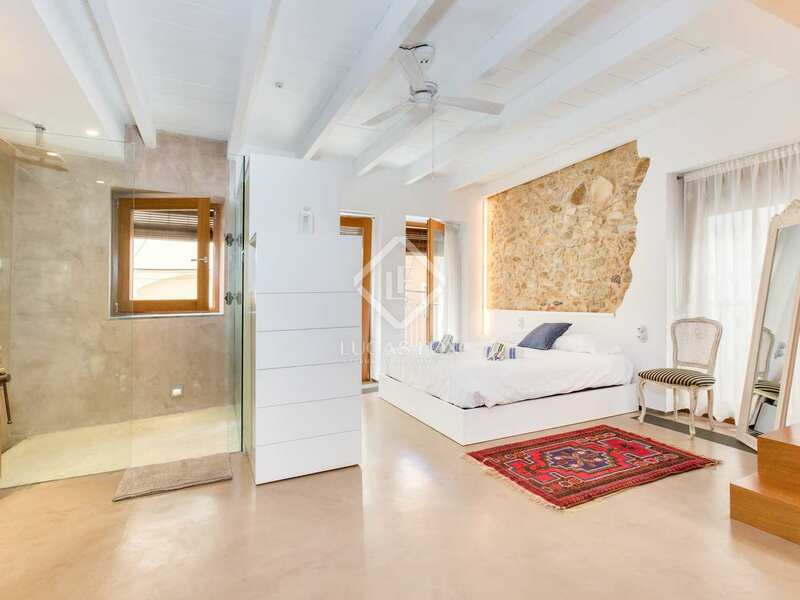 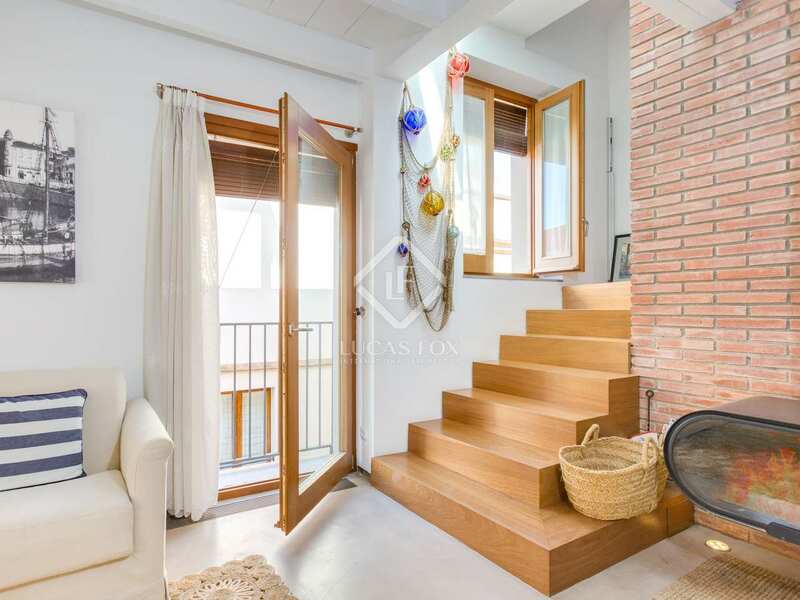 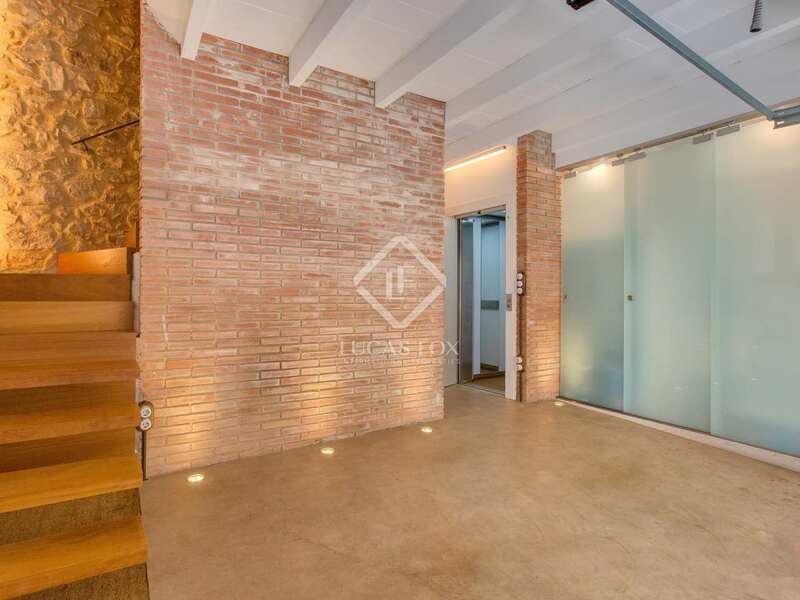 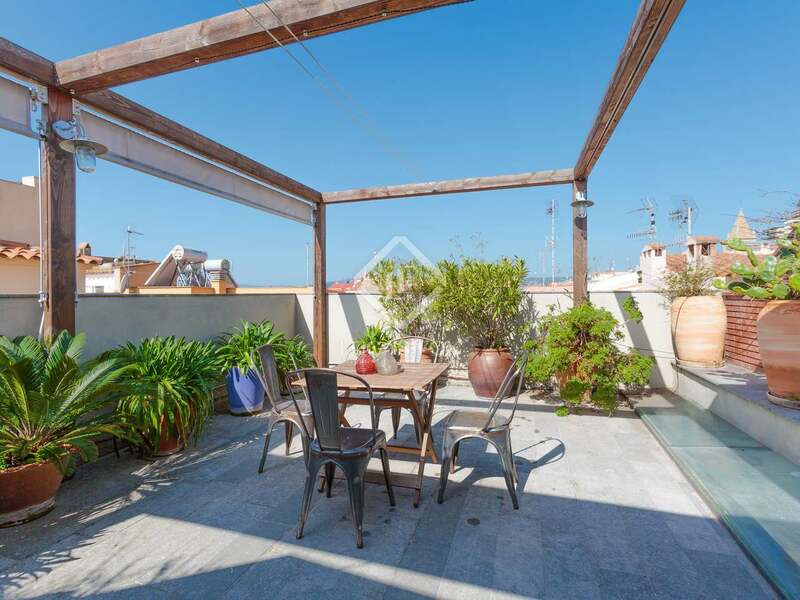 Beautifully renovated townhouse in the historic centre of Palamos with a wonderful roof terrace. 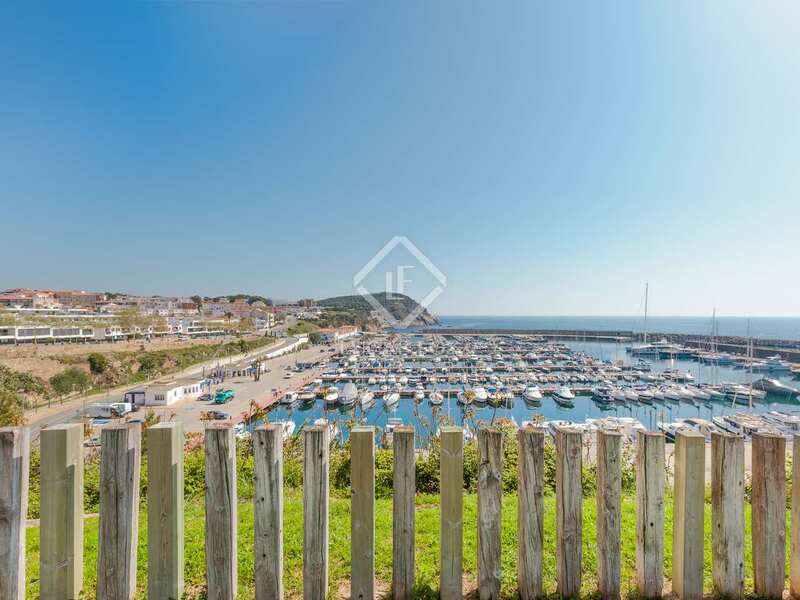 Just a 2-minute walk from the town centre and the marina. 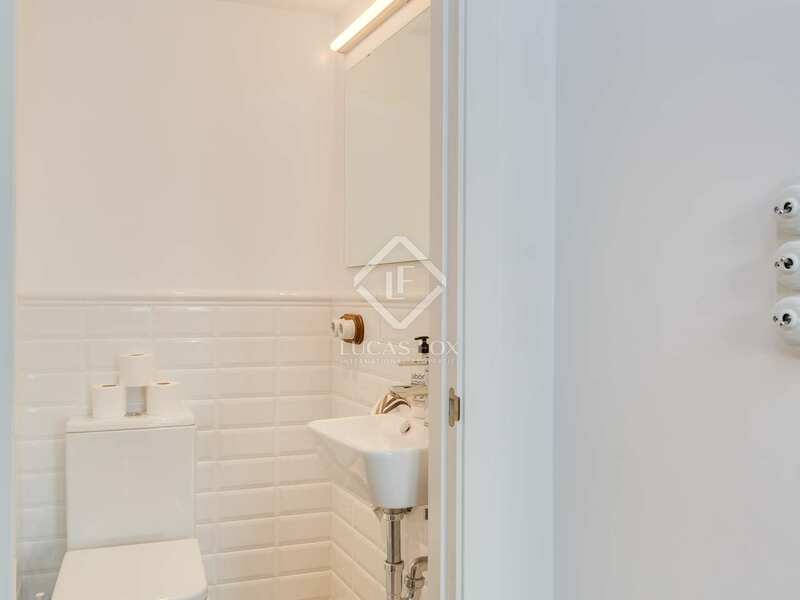 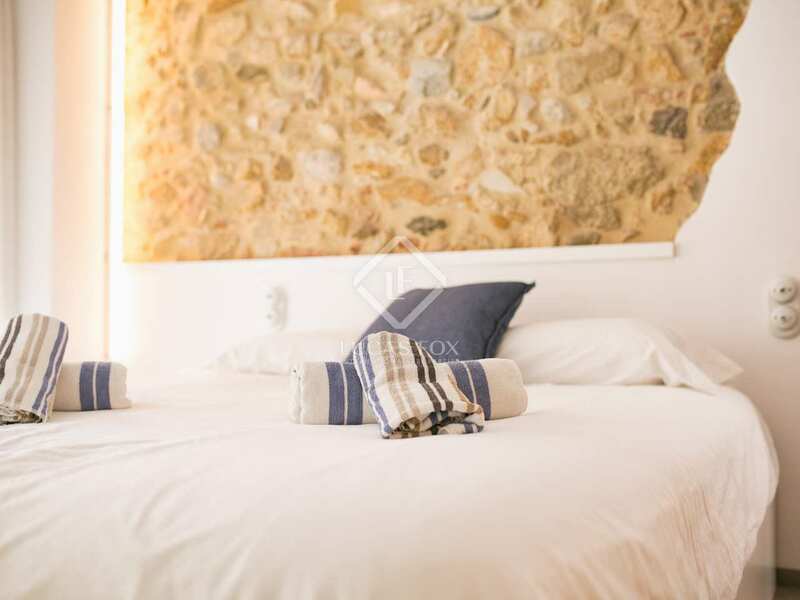 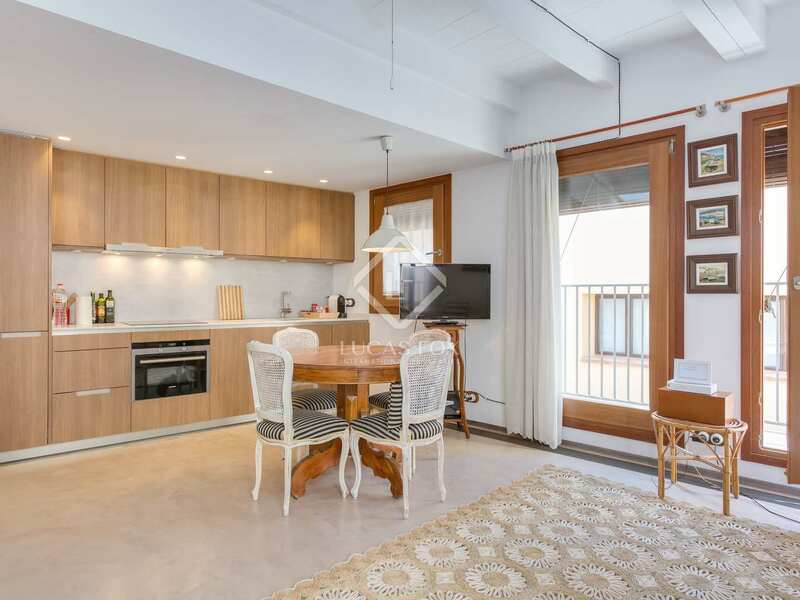 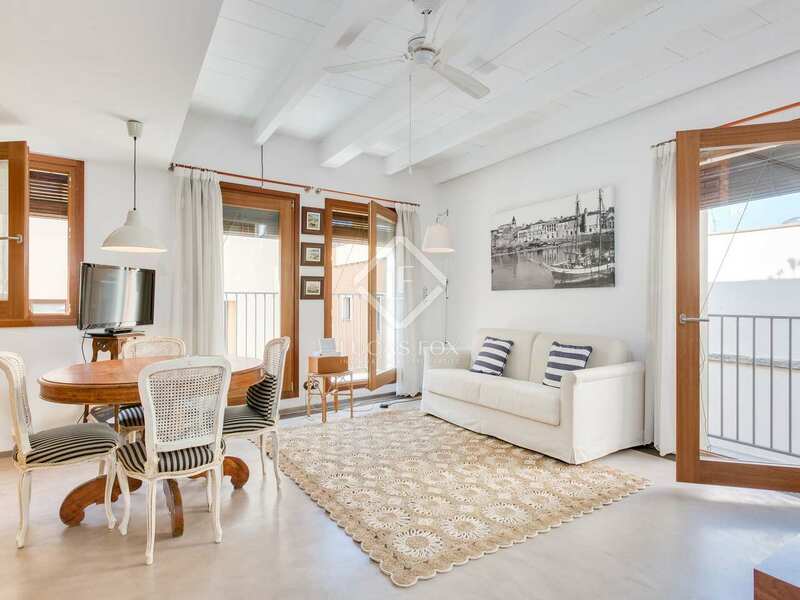 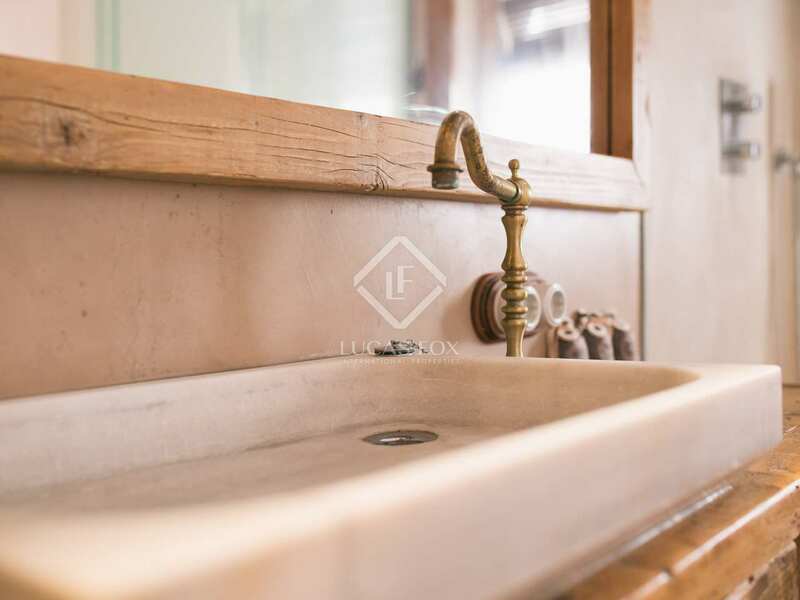 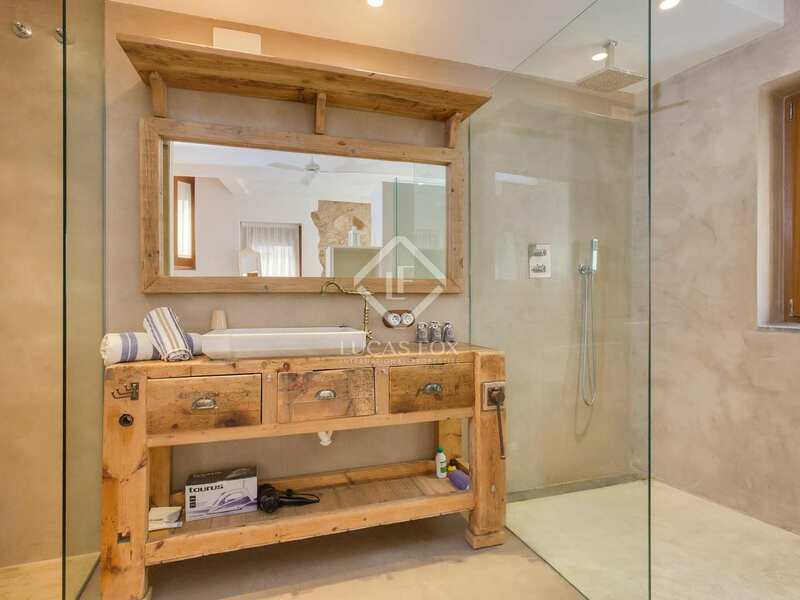 Exquisitely renovated and finished with great attention to detail, this historic townhouse enjoys a marvellous location on a quiet pedestrian street in the centre of Palamos old town, just 2 minutes on foot from the town centre and the picturesque marina, next to a number of restaurants and shops. 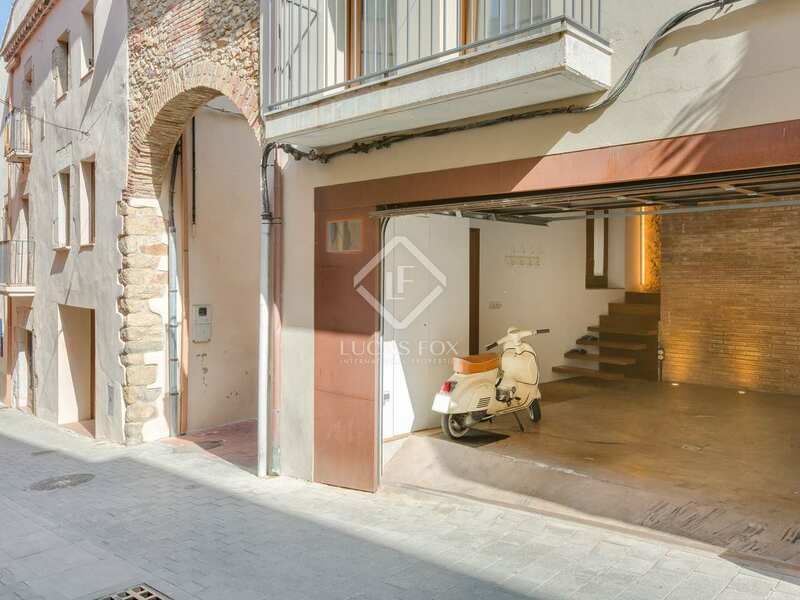 On the ground floor level we find a garage, a bathroom and a lift to all floors. 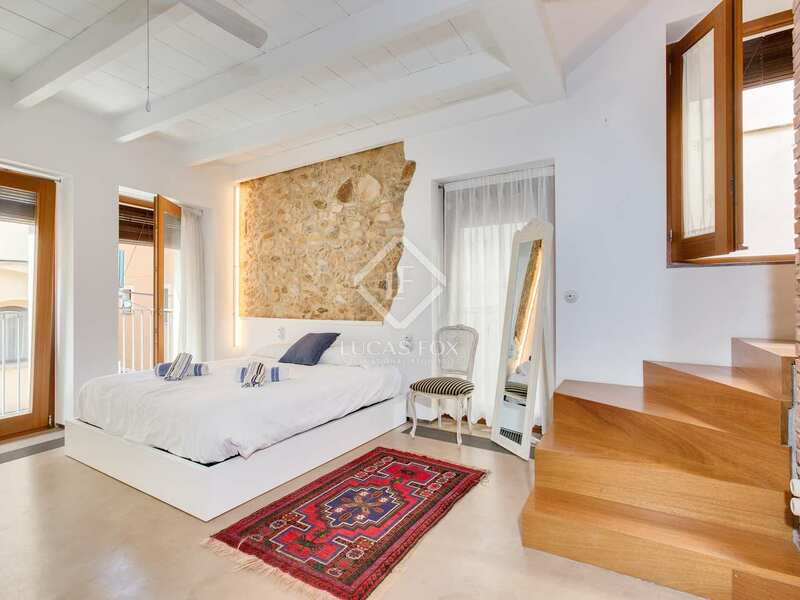 The first floor reveals a large open bedroom and a bathroom with a walk-in shower, while the open plan living room, dining area and kitchen are found on the second floor, along with a convenient guest toilet. 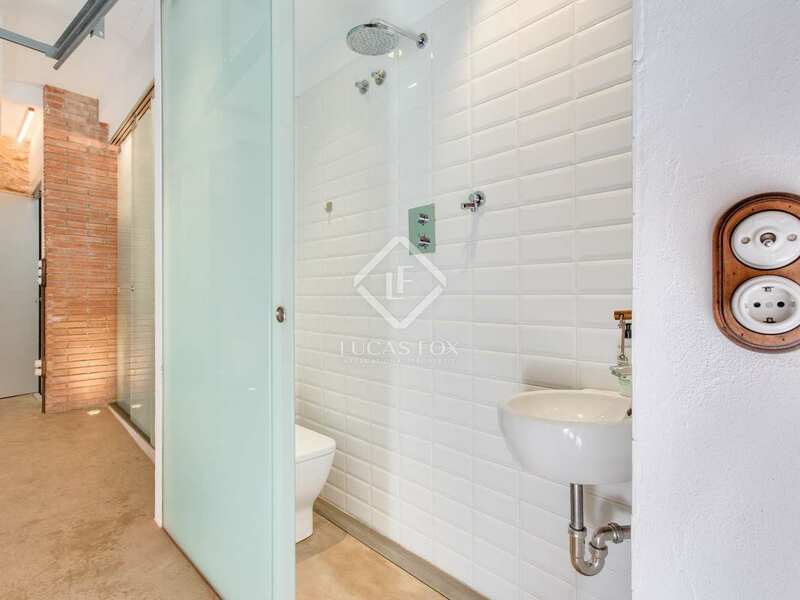 The third and final floor also has a toilet and provides access to the sunny roof terrace with wonderful sea views. 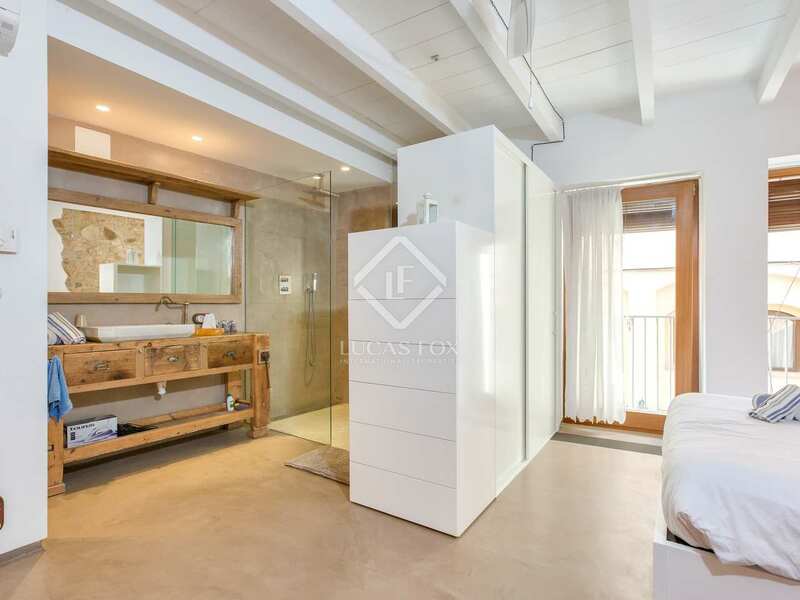 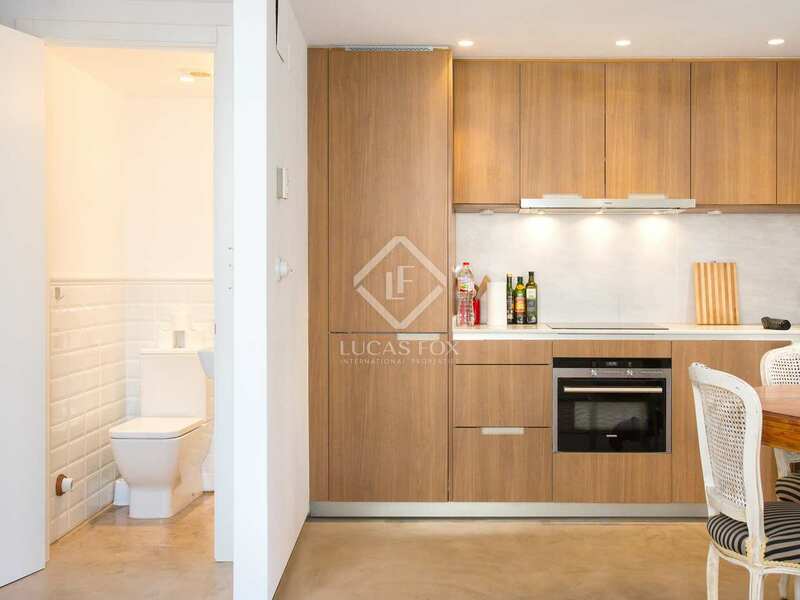 The apartment has recently been fully renovated with excellent taste and measures 153 m². 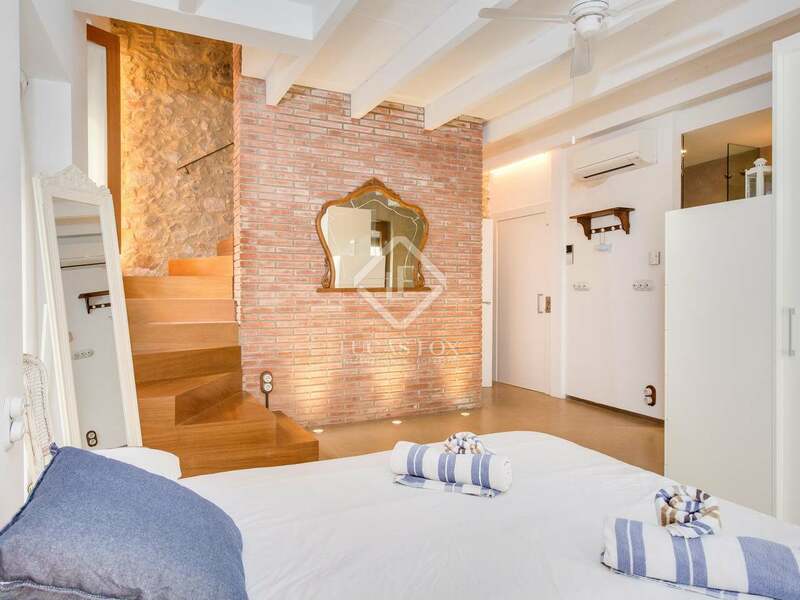 Although there is currently just 1 bedroom in the property, it could easily be divided to create a second bedroom. 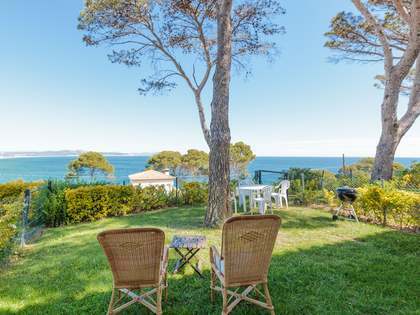 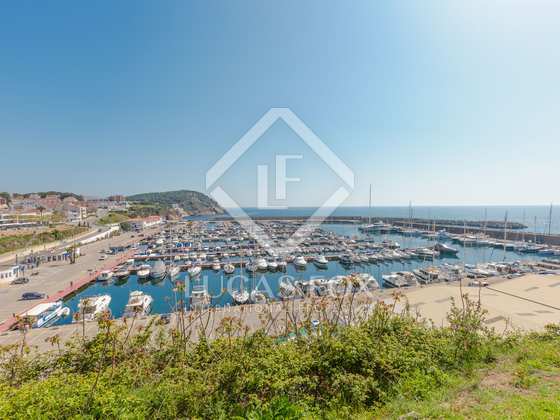 An excellent property for young couples and boat owners looking for a pied-a-terre on the coast. 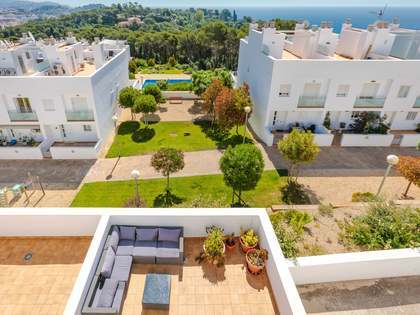 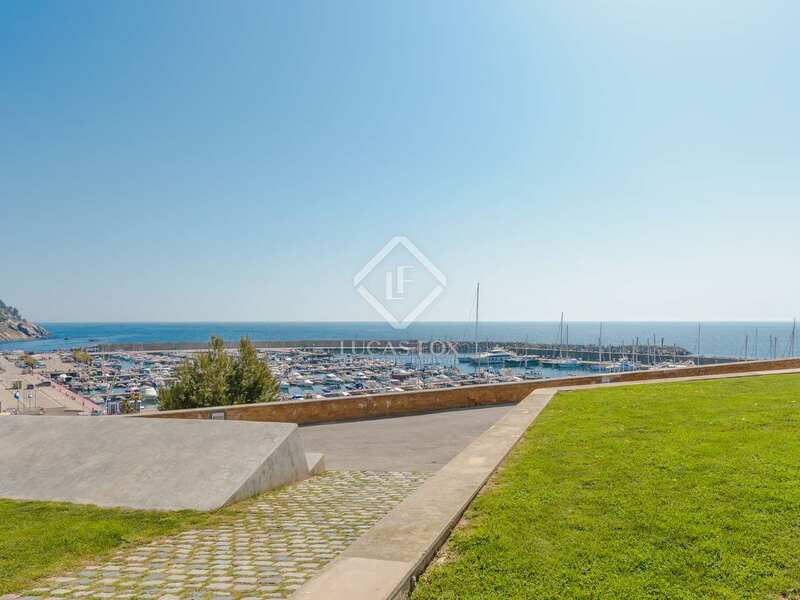 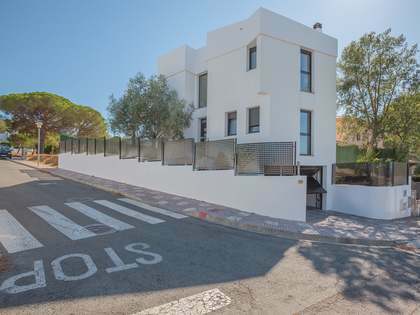 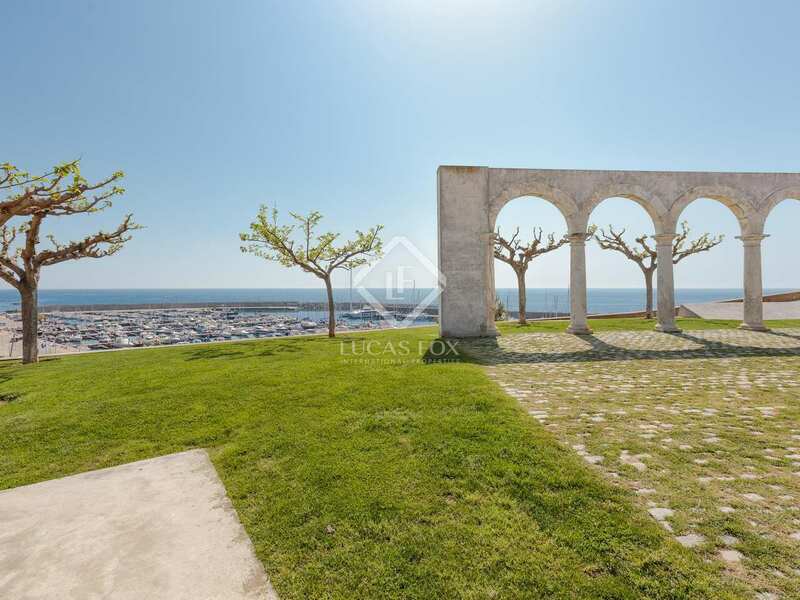 It would also make a very good investment property as it is in a prime location, only a few metres away from the beaches, town centre and the marina, and has a rental licence which would provide great returns throughout the year. 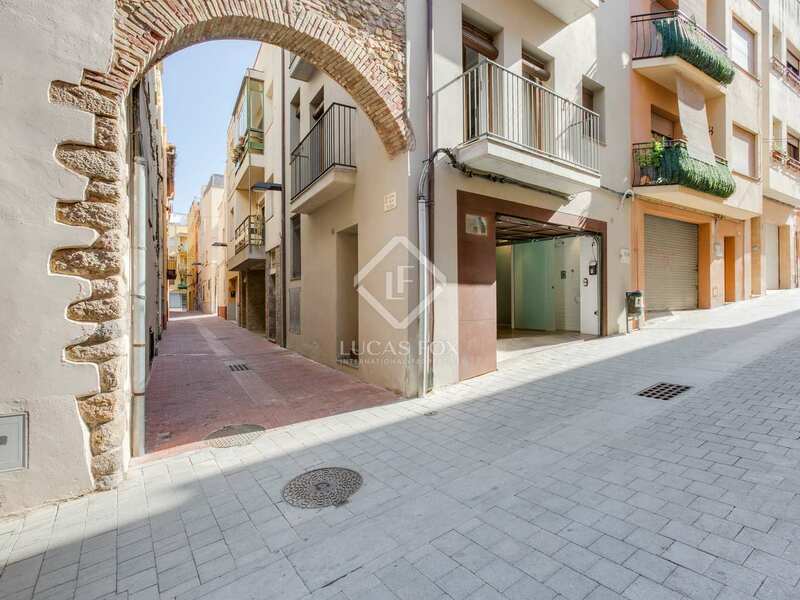 Property located n the historic centre of Palamos, next to a number of restaurants and shops and just a 2-minute walk to the Marina.